When we look for physical representations of people from the pre-photography past, the only remaining options we have are either the grim skeletal remains or barely detailed and imprecise artistic depictions. 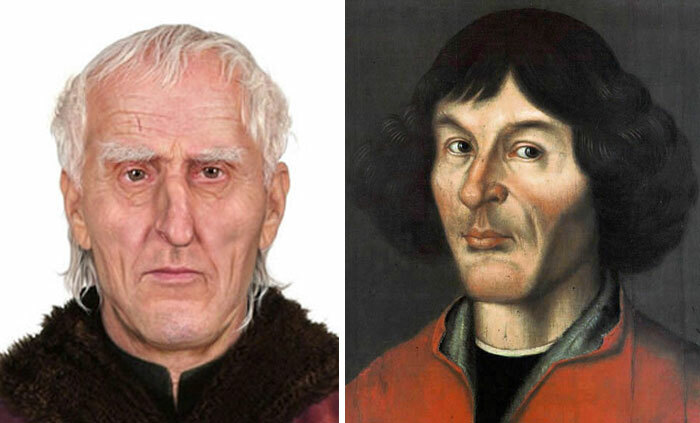 Some artists try to reimagine what a certain queen or medieval peasant might’ve looked like, but their vision and imagination is limited to their own times. However, technology has advanced to the levels where we can employ science to accurately depict what people of the past looked like, as if they were alive today. 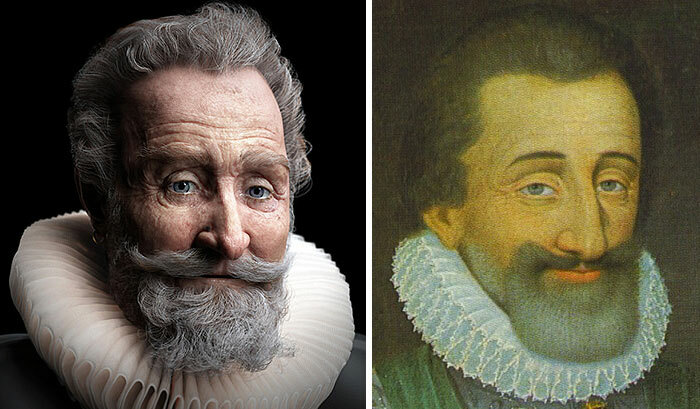 Bored Panda has compiled a list of various reconstructions that give us a fascinating glimpse into the past. Scroll down to check them out and don’t forget to comment and vote on your favorites! Bored Panda has compiled a list of various reconstructions that give us a fascinating glimpse of the past. Scroll down to check them out and don’t forget to comment and vote on your favorites! 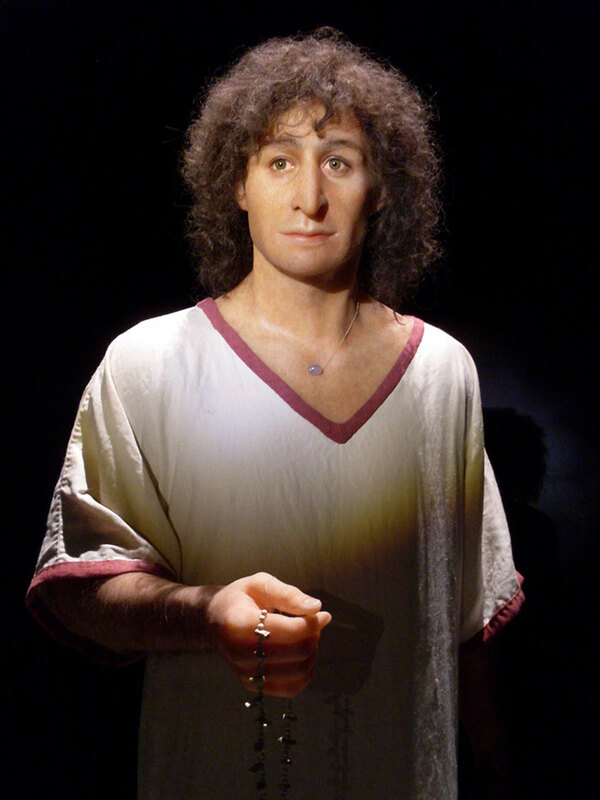 Ava was a Bronze-Age woman who died 3,700 years ago. She was found in an unusual grave for her time. Instead of being buried in soil, like others, Ava’s final resting place was carved in solid rock, which suggested that she was special. 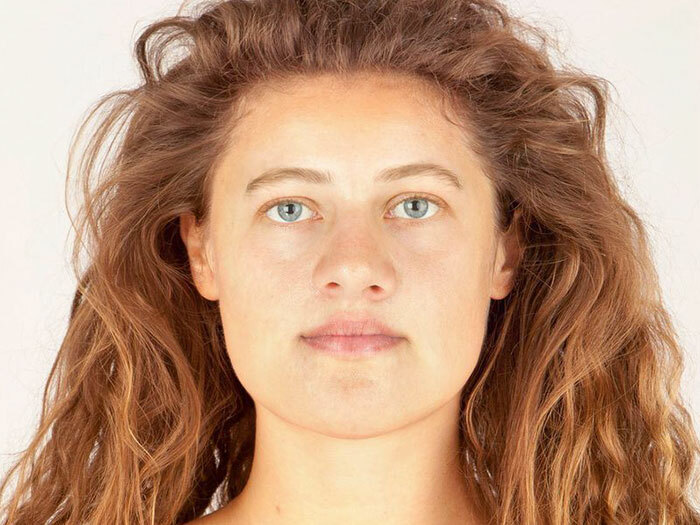 Scottish archaeologist Maya Hoole and forensic artist Hew Morrison teamed up to recreate Ava’s face using sophisticated software and tissue depth charts. The 2,000 year old mummy known as ‘Meritamun’ was brought back to life using the latest technology. 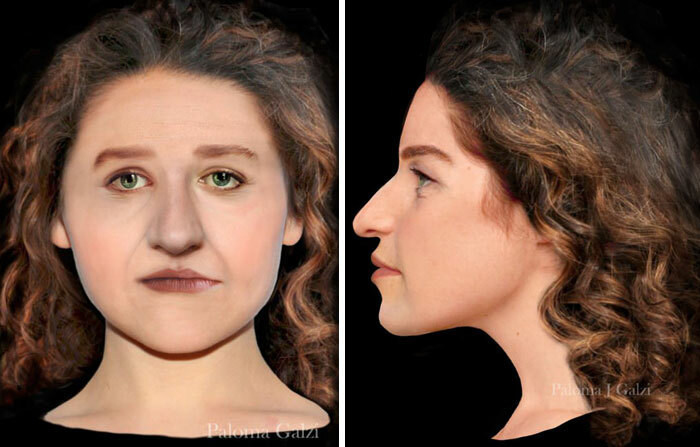 Scientists from the University of Melbourne used her skull to determine that Meritamun was between the ages of 18 and 25, stood about 5 feet 4 inches tall and was anaemic. Unfortunately, they couldn’t find the cause of death since the rest of her body was never recovered. 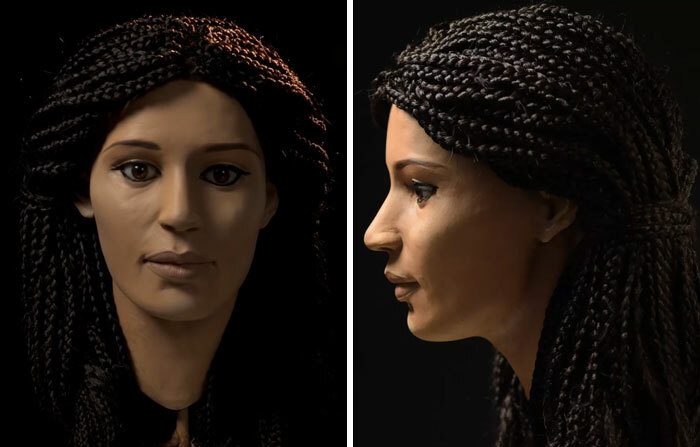 To reconstruct Meritamun’s face, the researchers used medical research, forensic science, computerized tomographic (CT) scanning, 3D printing, Egyptology and art. Johann Sebastian Bach (1685 – 1750) was a composer and musician of the Baroque period, who is regarded as one of the greatest composers of all time. 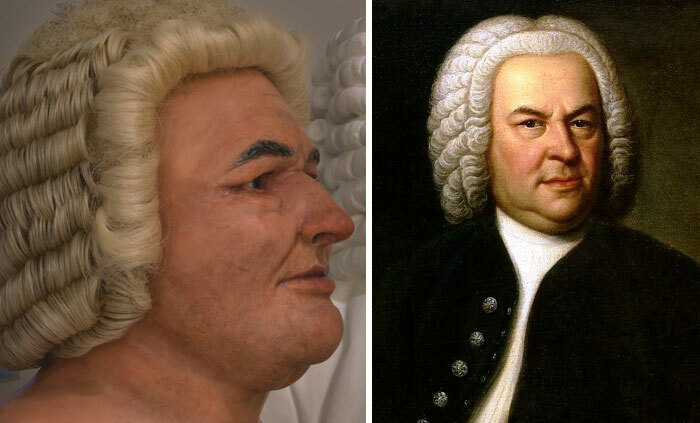 Scottish anthropologist Caroline Wilkinson took measurements of Bach’s facial bones to recreate a 3D image of what the composer’s face must’ve looked like. 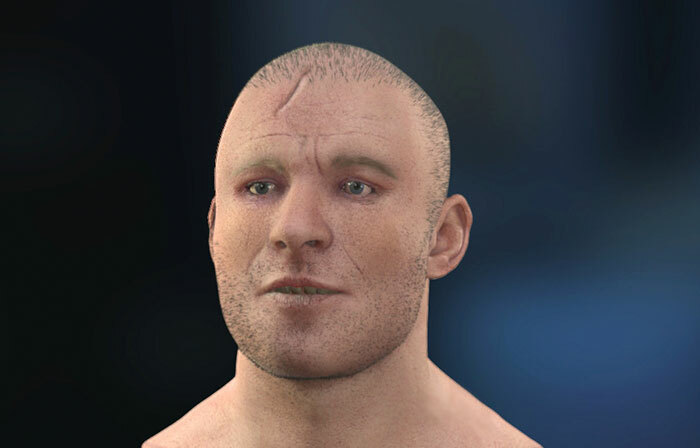 The reconstruction of an early Neolithic man’s head was based on the skeleton of an adult male excavated in 1863, in Winterbourne Stoke, Wiltshire. Experts used skeletal analysis to recreate what a slender man in his 40’s looked like about 5,500 ago, 500 years before the first monument at Stonehenge was built. DNA tests revealed that a mummy known as “the Younger Lady” is the sister of Akhenaten (Tut’s father) and mother of Tutankhamun. 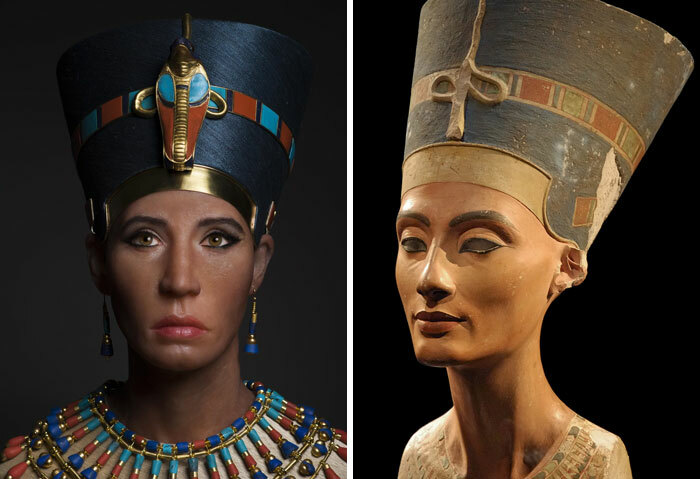 While its identity hasn’t been fully determined, many believe that the remains belong to Queen Nefertiti, Akhenaten’s Great Royal Wife. 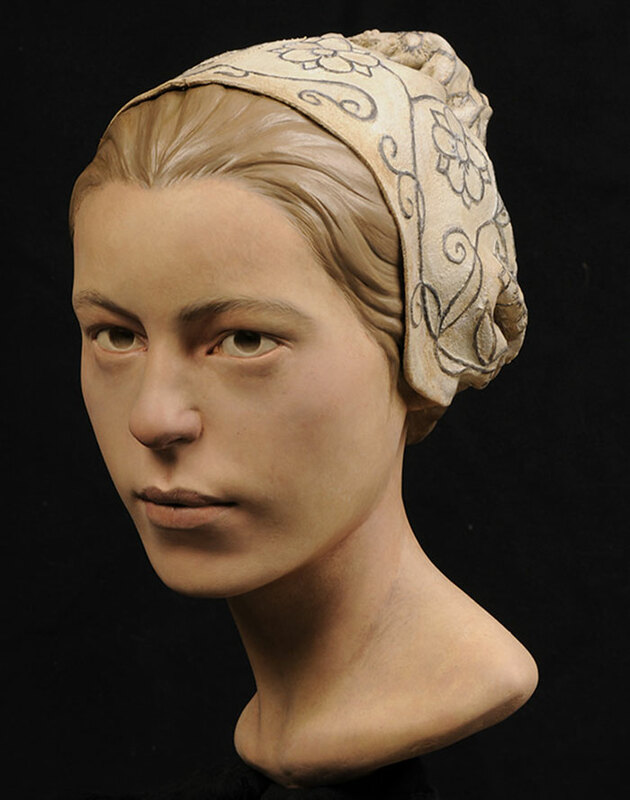 Paleoartist Élisabeth Daynès used the scan of “the Younger Lady” to reconstruct a bust of the Egyptian queen. Maximilien de Robespierre was a French politician and lawyer, best known for his role in the French Revolution (1789 – 1799) and the Reign of Terror. He was executed by guillotine on July 28, 1794 at the age of 36. 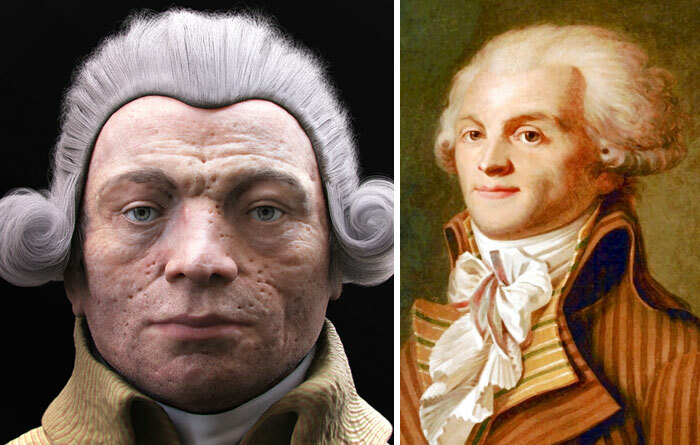 Scientists used his death mask, as well as historical records detailing Robespierre’s medical history to reconstruct his face and determine the illnesses he suffered. 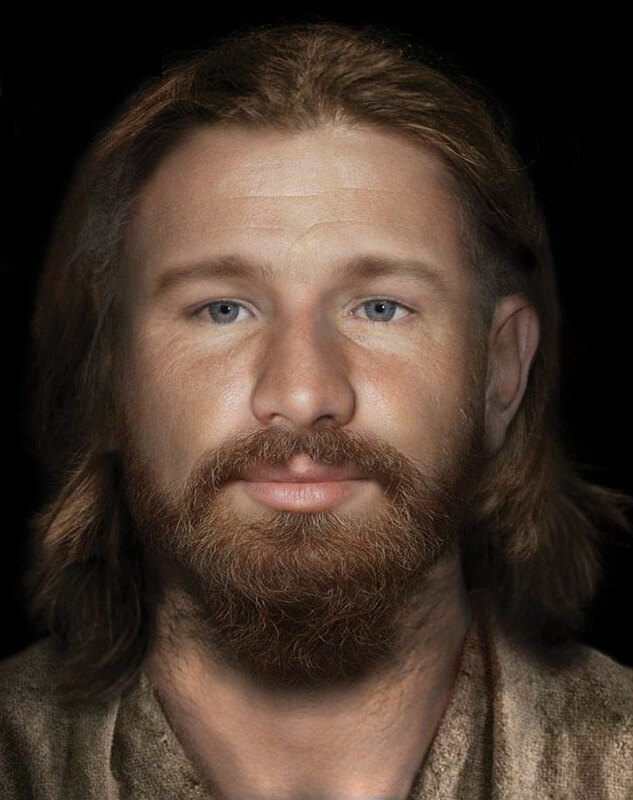 This individual who lived 700 years ago was dubbed Context 958 by the researchers who have pieced this man’s life and face together by analyzing his bones and teeth. Context 958 is part of the University of Cambridge’s wider research aiming to understand how people lived and died back medieval times. “Context 958 was probably an inmate of the Hospital of St John, a charitable institution which provided food and a place to live for a dozen or so indigent townspeople,” said, John Robb, member of the research team. The team has also determined that he was around the age of 40 when he died and lived a hardworking life, based on the wear and tear marks on his skeleton. Mary Stuart was Queen of Scotland between 1542 and 1567 and she was only 6 days old when she acceded to the throne. She spent her last 18 years in custody of Queen Elizabeth of England after which Mary was found guilty of plotting to assassinate Elizabeth in 1586 and executed. She was 44 at the time of her execution. 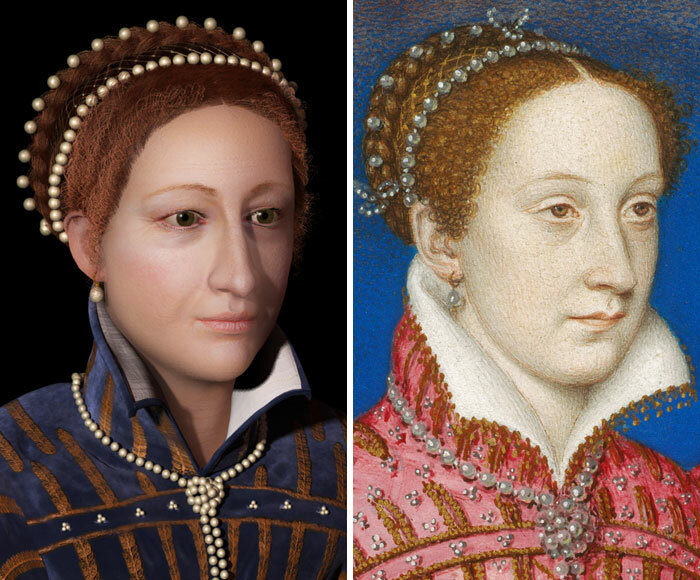 Experts from the University of Dundee compiled all the available portraits of Mary Stuart to recreate a 3D image of what she would’ve looked like during her reign. Mary Rose was a warship of the English Tudor navy of King Henry VIII, that sank in 1545 while leading an attack on the French fleet. 500 years later the ship and most of her crew were recovered and scientists examined the remains. While algae and other growth made it difficult to analyze the skeletons, the research team were able to identify quite a lot of this particular archer…. Mary Rose was a warship of the English Tudor navy of King Henry VIII, that sank in 1545 while leading an attack on the French fleet. 500 years later the ship and most of her crew were recovered and scientists examined the remains. While algae and other growth made it difficult to analyze the skeletons, the research team were able to identify quite a lot of this particular archer. They determined his role in the ship as a man wielding a long-bow, as well as his height – 6 feet. 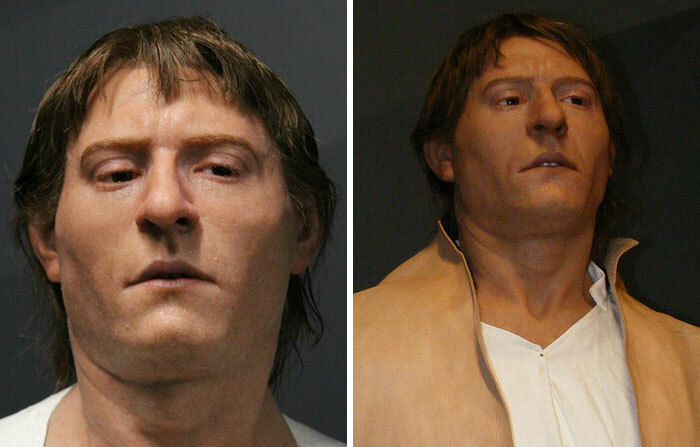 They also created a 3D print of his skull which was later used to reconstruct his face. 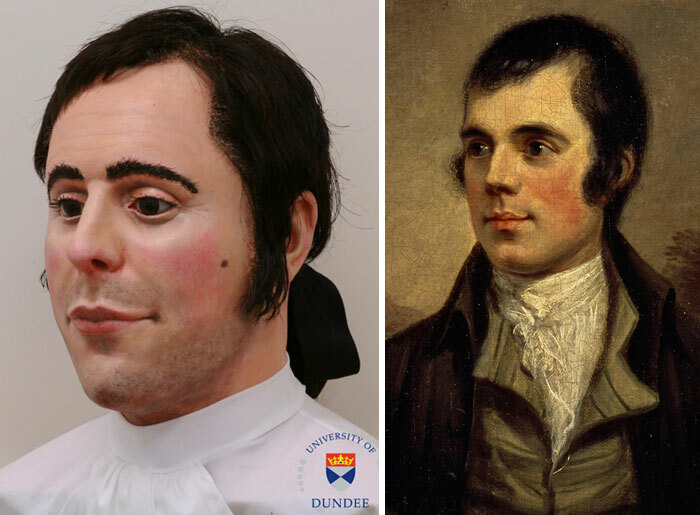 Robert Burns (1759 – 1796) was a Scottish poet and lyricist known for such works as “Auld Lang Syne” and “The Battle of Sherramuir”. He died at the age of 37 in Dumfries, Scotland. Researchers used his skull to recreate a 3D reproduction to bring Burns back to life. 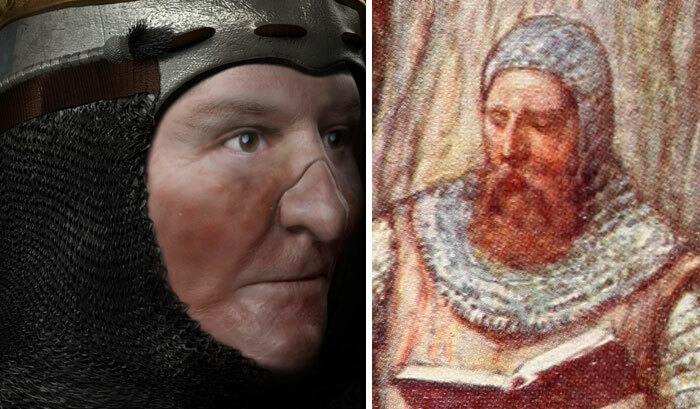 John de Strivelyn (also known as John Stirling) was a medieval Scottish knight who died in 1378. His remains were found at Stirling Castle, beneath a lost 12th-century royal chapel. 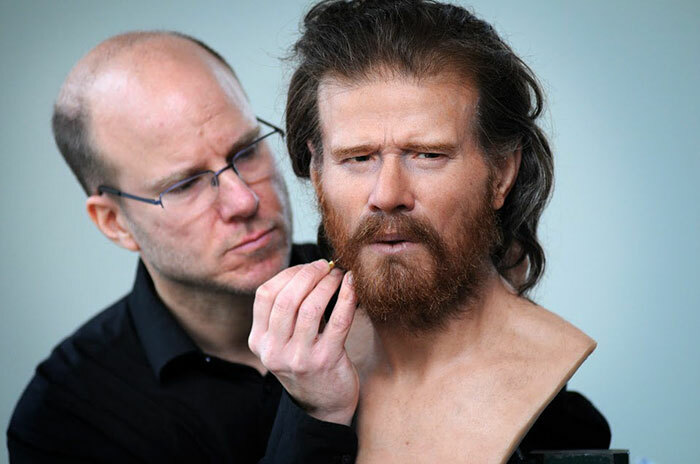 The University of Dundee worked on John’s remains to recreate a three-dimensional image of what he looked like. 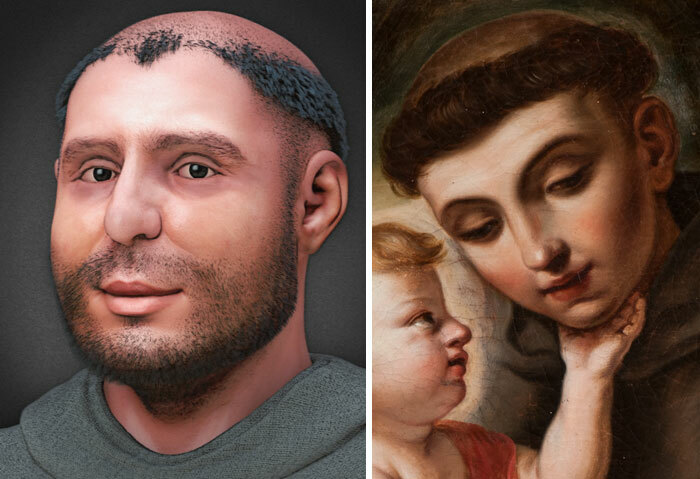 They used the latest digital scanning and replication techniques and the final result was painted by a medical artist. Robert I was King of Scots from 1306 until his death in 1329, as well as one of the most famous warriors of his generation. He led forces against England in the First War of Scottish Independence and succeeded in regaining Scotland’s place as an independent country. To this day, Robert the Bruce is regarded as a national hero in Scotland. 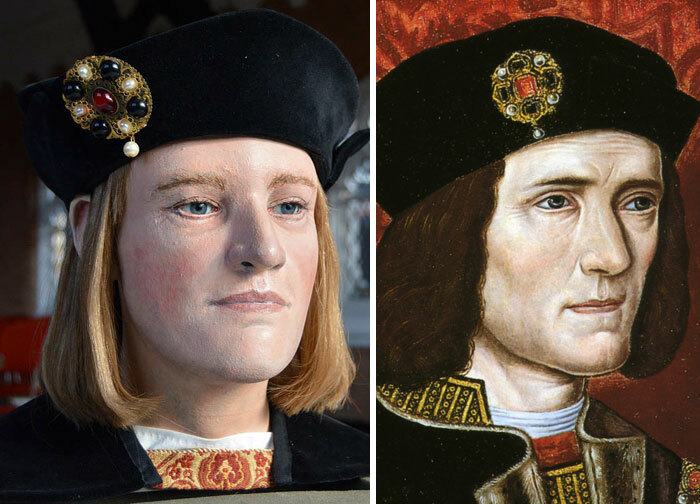 In 2016, historians at the University of Glasgow teamed up with Liverpool’s John Moores University to reconstruct Robert’s face as the visual depictions of the King were scarce. They used casts from what is believed to be the skull of Robert to make a 3D represenation. 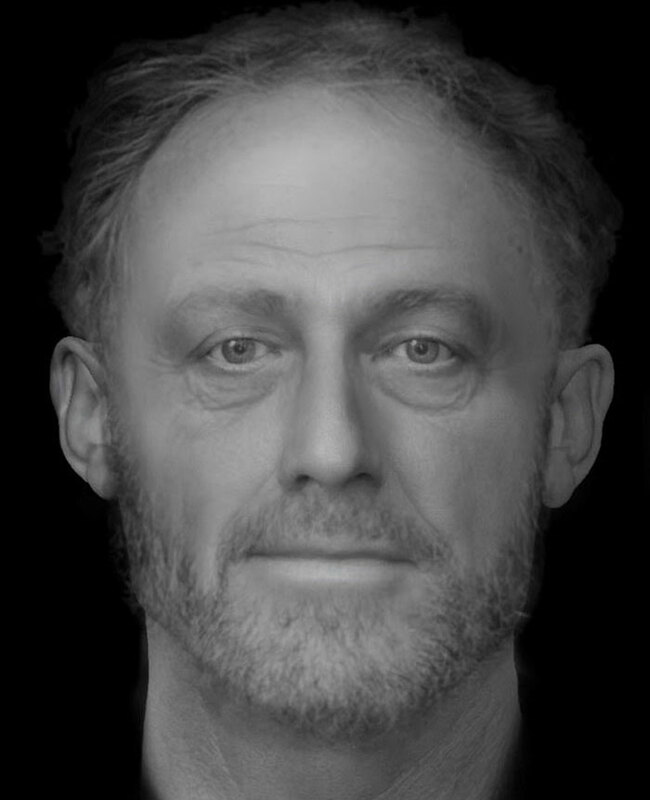 Although there is some uncertainty whether the skull truly belongs to King Robert, historians are reasonably confident it’s his skull.